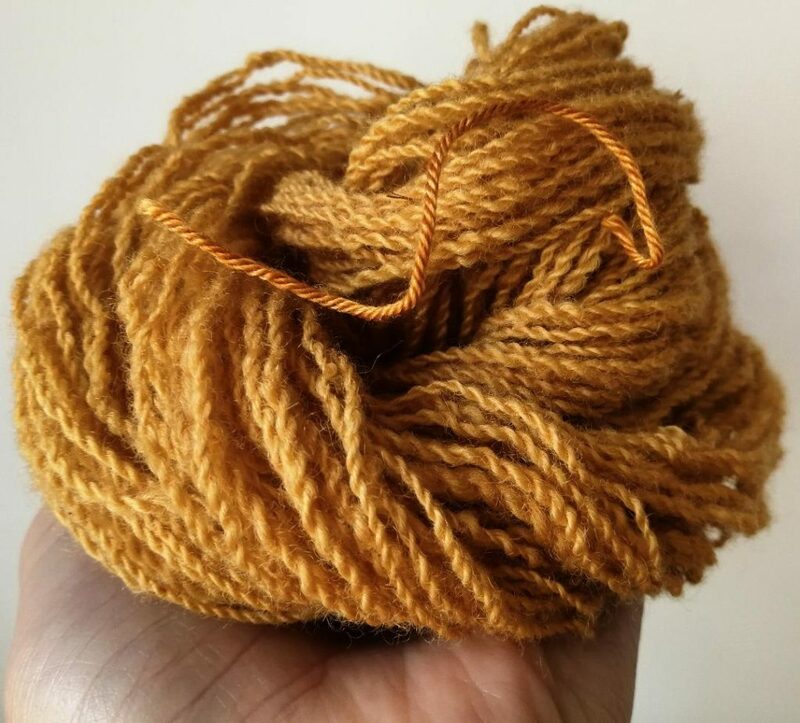 I realise that I haven’t talked all that much about natural dyeing – I think that, as it is something I do on a regular basis (rather than new patterns and yarns which are more of an ‘event’), I don’t tend to share what I have been up to. I thought I’d share part of an interview that I did for Clare Devine’s blog (thank you Clare!)………….. ”Clare: Your yarns are naturally dyed. Could you tell me a little more about why you decided to use natural dyes and what inspires your colour choices. 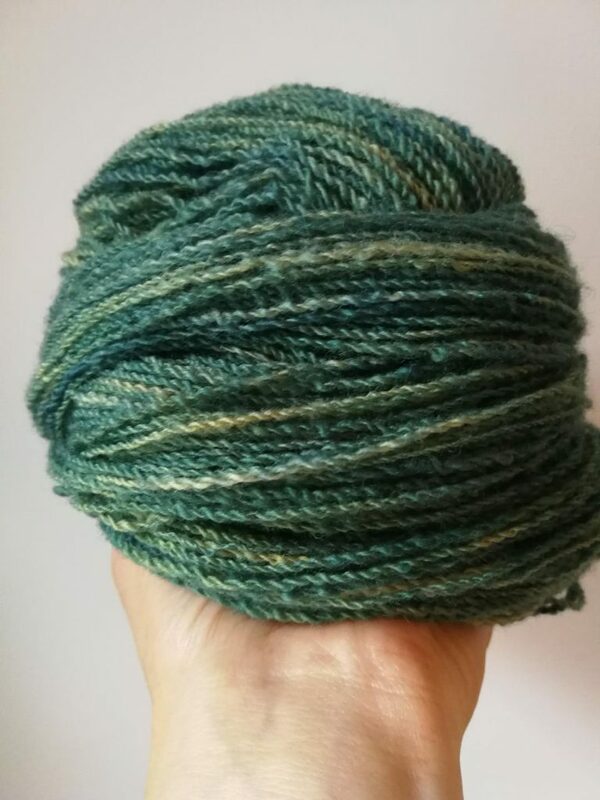 Me: It was actually natural dyes which drew me into setting up Black Isle Yarns. 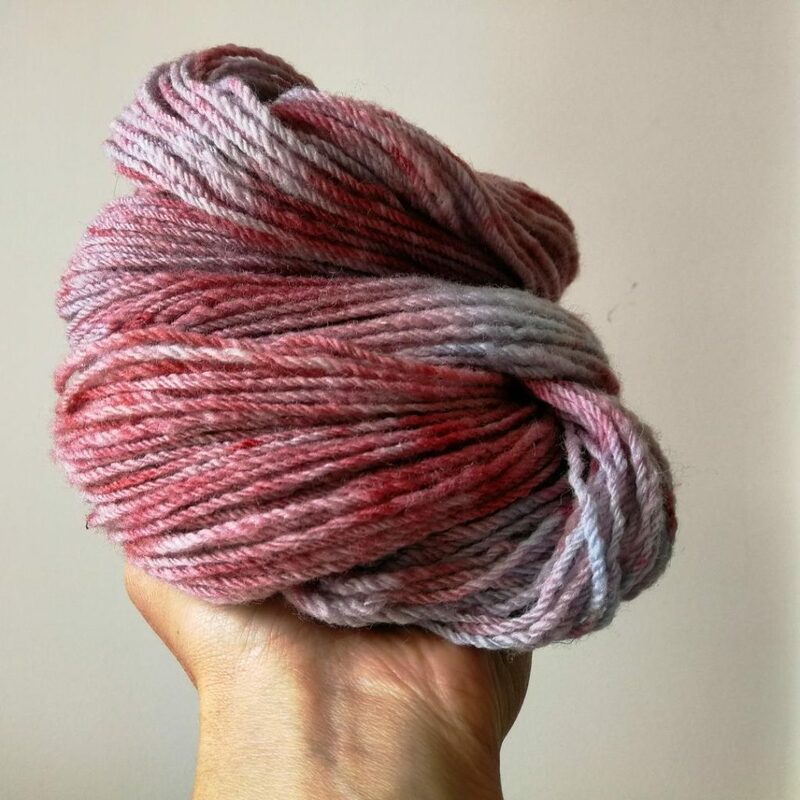 I began with natural dyeing for my own use – collecting plant material while out on walks and experimenting with colour for fun. 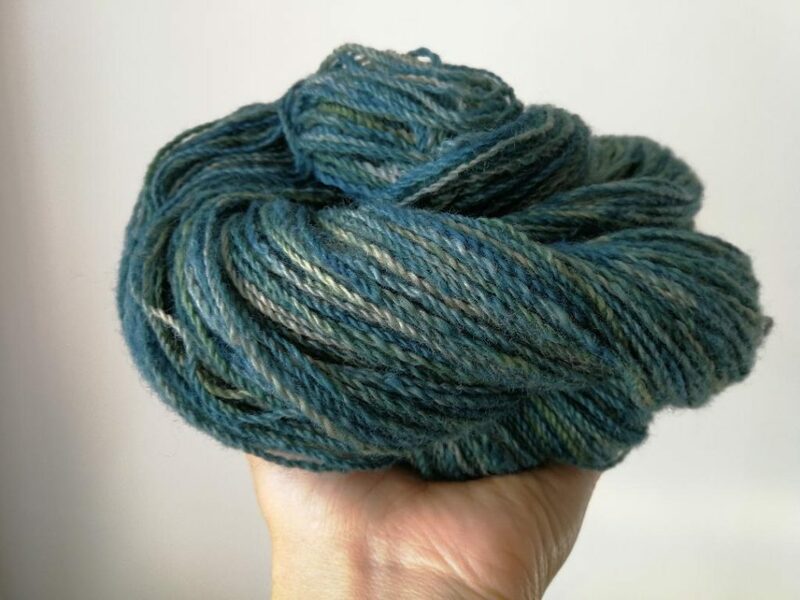 I very quickly began to feel that I wanted to know where the yarn I was dyeing came from and, having grown up on a smallholding and having a lifelong love of farming and land management, I knew there would be a lot of wool locally which was fetching little to no money for the farmer. I sounded out a couple of local flock owners who I already knew and began searching for a mill to use. I was incredibly lucky to start with The Border Mill, they are great to work with and always prepared to try new ideas. I was originally drawn to dyeing with natural materials because of my love of plants and the outdoors – there is something incredibly satisfying in creating colour with material gathered while out walking. Perhaps because of my background, I tend to have a map in my head of the plants in my local area and when they are likely to be coming into leaf or flower. I love spotting something new on a familiar walking route and storing it’s location away for future reference. I think these same walks inspire my colour choices. I’m incredibly lucky to live in a very beautiful part of the world. The Black Isle is a unique part of the Scottish Highlands, a little peninsula surrounded by sea. From home I can walk down to the beach and along the shore to caves and cliffs, or inland through fields and up into the hills and woods that make up the top of the Black Isle. Colours here are often slightly muted with beautiful shades and tones, and I think these are definitely reflected in the colours I dye. 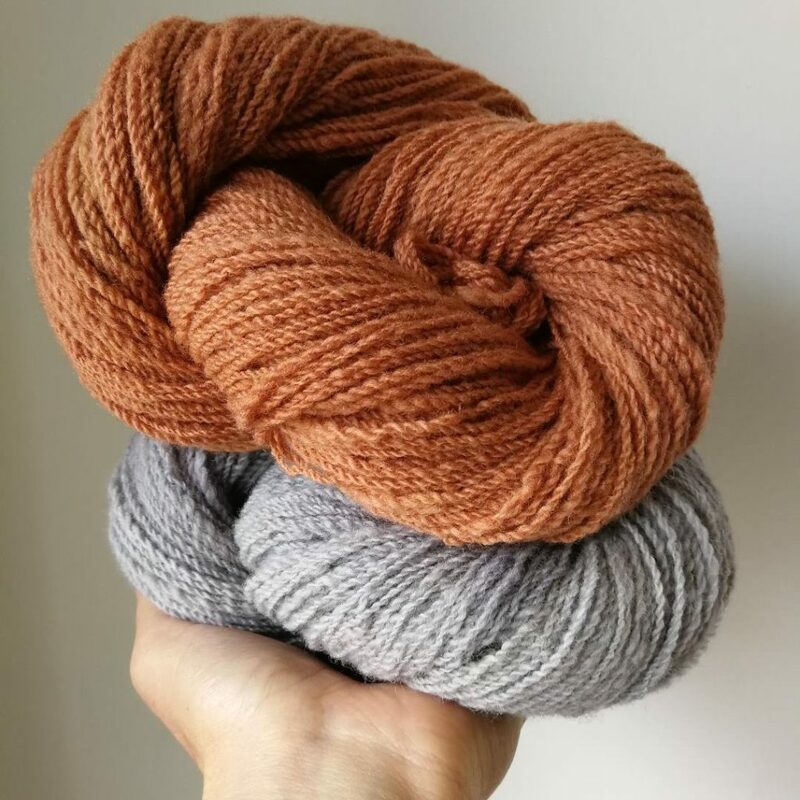 Over time, and as I build expertise (natural dyeing is such an artform, I will always be learning), I would like to work towards a set of deeper more saturated shades which would reflect the more bold colours we have when it is cold and clear after a good fall of snow.